WASHINGTON — NASA has done a good job implementing the recommendations of its latest planetary science decadal survey despite past budget problems, but needs to improve some programs, a recent report concluded. “The committee concluded that despite significant cuts to the Planetary Science Division’s budget early in this decade, NASA has made impressive progress at meeting the decadal survey’s goals,” the committee noted in its final report, a reference to a nearly 20 percent cut in planetary science funding in 2013 to less than $1.3 billion. Its budget has subsequently risen significantly, to $2.2 billion in 2018. The progress includes work on two flagship-class missions prioritized in the report, a Mars rover mission to cache samples for later return to Earth and a spacecraft to orbit Jupiter’s icy moon Europa. 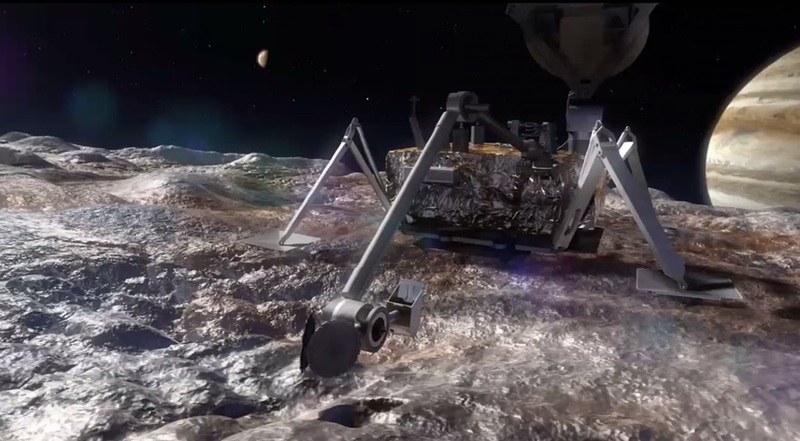 Those concepts have become the Mars 2020 and Europa Clipper missions, respectively, after undergoing redesigns to reduce their projected budgets from the decadal report. The committee was more skeptical about a third flagship-class mission in the early stages of development, a Europa lander mission. The mission has enjoyed funding well above any administration requests largely due to the advocacy of Rep. John Culberson (R-Texas), who chairs the House appropriations subcommittee that funds NASA and is the most prominent congressional supporter of the mission. A Europa lander, the committee noted, was not prioritized in the latest decadal survey, which called it a “far term” mission that did not receive a detailed cost and technical assessment at the time. “The midterm committee, although it lacks an official cost estimate, believes the mission cost to be in the multiple billions of dollars range,” it concluded. “Given its cost and its potential impact on the rest of the planetary science program, the committee concluded that the mission should be vetted within the decadal survey process,” the report stated. The committee also raised concerns about the future of Mars exploration. NASA’s only Mars exploration under development is Mars 2020, although the agency has started studies of a so-called “lean” sample return architecture announced last August. That would require two more missions, one to collect the cached samples and launch them into Mars orbit, and another to collect the sample canister in Mars orbit and return it to Earth. The committee concluded NASA should continue to study that Mars sample return architecture, but argued that with no other missions on the books, the sample return missions could be vulnerable to failures of existing Mars orbits that serve as communications relays. No other Mars science missions are under development as well. Another recommendation of the committee was to increase the cadence of the Discovery and New Frontiers programs of low- and medium-cost competitively selected planetary science missions. Budget cuts earlier in the decade affected the pace of competitions in both programs, and NASA has struggled to catch up even with increased funding in recent years. The committee concluded that, to meet the mission cadence recommended in the decadal survey, NASA select three missions in upcoming competitions expected to take place in 2019 and 2021. NASA selected two missions, Lucy and Psyche, in its previous Discovery competition that concluded in January 2017. The report also offered advice for the next decadal survey in the planetary sciences, which will likely begin by mid-2020 for publication in the spring of 2022. That survey will need to take into account both new science objectives, particularly in astrobiology, as well as new technologies and capabilities, such as smallsats. The committee in particular recommended that NASA sponsor 8 to 10 concept studies of missions for potential consideration in the next decadal survey. That includes revisiting a previous study of an “ice giants” mission to Uranus and/or Neptune, citing different scientific objectives in a 2017 study versus those outlined in the decadal survey as well as concerns that “the scientific payload proposed in the study carries significant risk of failing to make the measurements” outlined in the decadal.